Has anyone been riding a KSR110 or does anyone know it? The bikes have some things in common, but im wondering it is vs our new grom! Last edited by Floes; 07-20-2013 at 01:43 PM. But it's still a Kawi. Grom looks better, I think. Not going to lie I like the idea of being able to put more aggressive tires on the KSR and taking it off road. 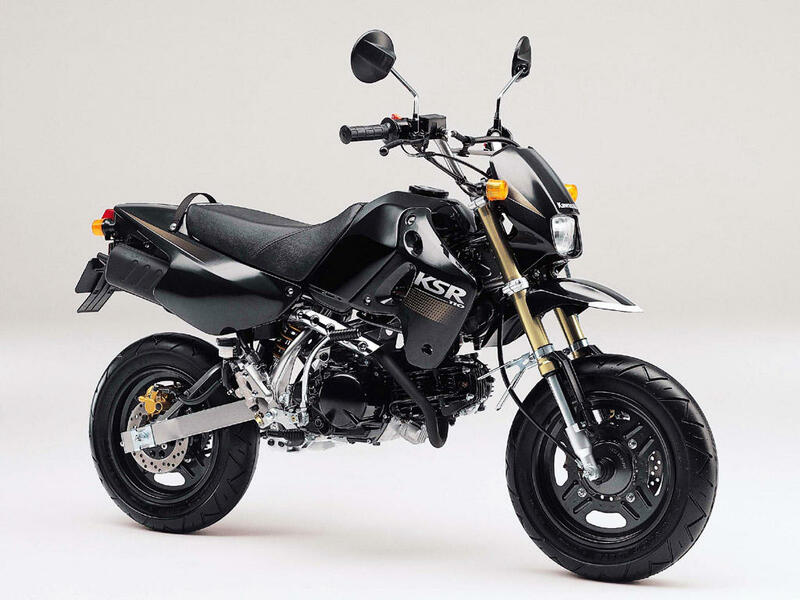 I think it would be a contender to the Grom if it ever makes it to the states. Looks alot better. I was thinking about getting the grom too. But here in the Philippines they still havent released the grom. Dont know yet when. Yesterday local dealer had a 2013 ksr on display. Fell in love right away with the mini bike. If you plan on staying stock, the grom is a good choice. But if you plan on modding, the ksr is better since its carb type. Easier to tune. Ill try to post some pics once i get the bike. Also the ksr has both kick & electric start which is really good. So you have backup just incase you have a drained battery. Before it only had a kick start. Thats why I was surprised that now it had electric start aswell. That new KSR looks good as well. I am curious is the GROM engine an update of the C90, C100, C110 range of engines? I'm building a GROM killer out off a Kawi motorcycle if I do not get my GROM. I already got the idea and plans in the works plus I would have a six speed vers a 4 speed.